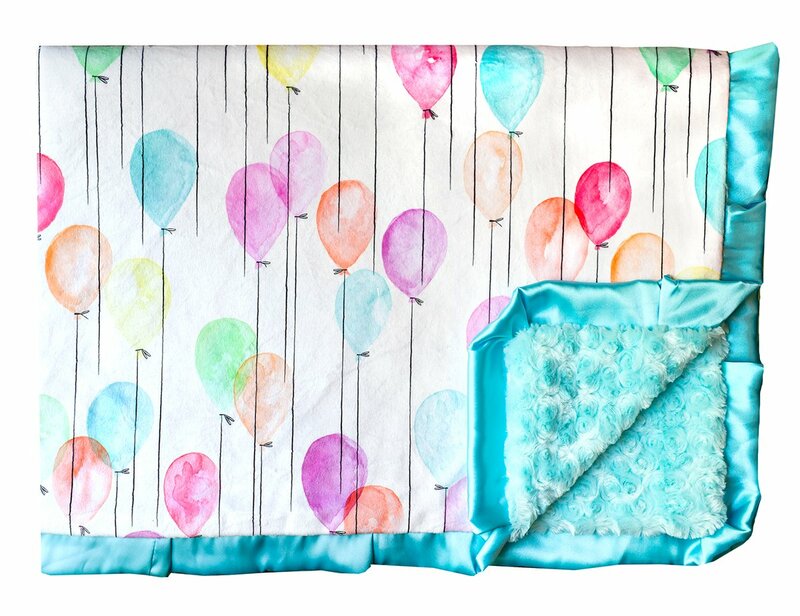 The party never stops with this darling water-colored balloon design. Balloons in hot pink, yellow, green, purple, coral and tiffany blue on a cream background. Tiffany blue minky back and satin ruffle. Up and Away is an exclusively licensed design and can only be found at Minky Couture.